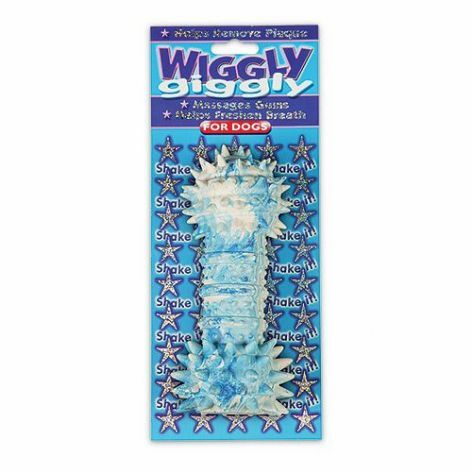 The Wiggly Giggly Dental Hygiene Dumbell Dog Toy By Happy Pet is a totally new design concept in pet toys. Your dog will have great fun and joy playing with this toy which makes a crazy giggling sound when shaken, as the teeth are cleaned and gums are massaged, resulting in fresher breath and healthy teeth. Always supervise your pet while playing with any toy. This toy is tough but not indestructable.